The Golden Horse, Golden Melody and Golden Bell Awards, collectively known as the “Three Golds,” were all established for roughly the same reason: to recognize outstanding entertainment companies and encourage artists. Stately affairs when the Government Information Office ran them, the ceremonies became more glamorous when private organizations took them over in the 1990s. 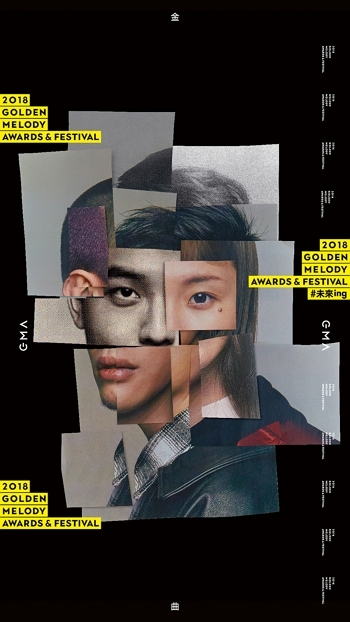 At the Golden Melody Awards, for example, TVBS-G and Azio TV made actress and television personality Chang Hsiao­-yen and singer Matilda Tao staples as hosts for the many years they broadcast the events. This resulted in a gradual change in the shows’ vibe, attracting new viewers and turning the awards into regular topics of discussion on social media sites like Wretch and PTT. “The programs ceased to be purely ceremon­ies, and became shows,” says Design Surfing founder and longtime viewer Chad Liu. 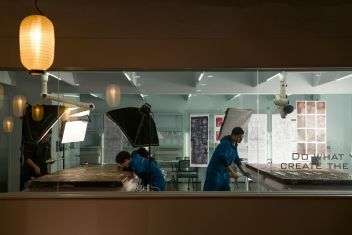 Graphic designers and motion graphic designers worked together to produce short videos about 22 Golden Melody Awards nominees, demonstrating Taiwan’s design capabilities to the world. Liu attributes the Three Golds’ current renown to social media. He says that the way people watch the shows evolved with the maturation of the Internet. Streaming enables viewers to not only watch, but react, discuss and share highlights, making viewing the awards a very different experience from what it was when the TV networks controlled the broadcasts. The companies currently broadcasting and streaming the shows have also elevated their presentations and even created interest in event design by hiring designers to package them. The Golden Horse Awards are the oldest and the most innovative of the Three Golds. For example, the show has long invited well-known designers to create visually striking posters that package and promote the awards and the associated film festival. 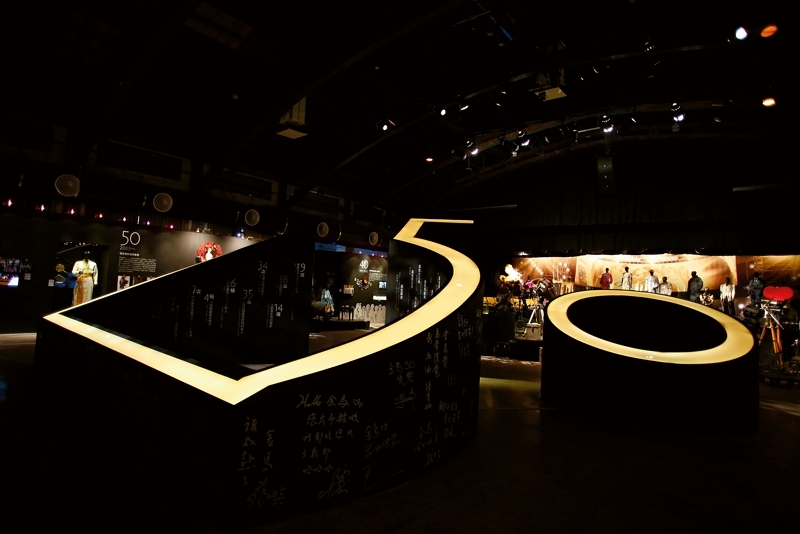 And it was the Golden Horses that heralded Taiwan’s revolution in awards-­ceremony design with their 50th anniversary in 2013. Aaron Nieh handled the key visual design for that year’s posters, his second year doing so, and went with a pared-down style. With Maggie ­Cheung serving as the 2013 Golden Horse ambassador, Nieh chose to use pieces of a photographic portrait of her in the poster, retaining her eyes, nose and ears in a way that made her grace and charm even more evident. The use of ­Cheung’s image also highlighted the festival’s celebration of the return of 40 screen icons for the event in a parade of stars that made the show itself even more brilliant than usual. 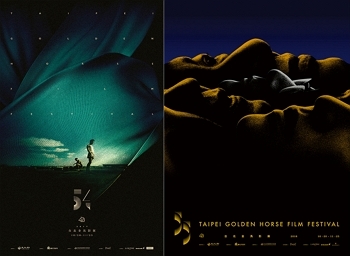 The 50th anniversary poster design highlighted the Golden Horses’ history and reputation, its key visual design stressing for the first time the anniversary nature of the event, in contrast to the design focus of previous years, which was to provide the particulars of the individ­ual year’s festival and awards ceremony. The simple lines of the focal “50” on the poster also evoke movie symbols ranging from a clapper­board and a dir­ector’s viewfinder to a spotlight and a film projector, and are a seminal example of logo design. The design revolution of the 50th Golden Horses seemingly inspired the designers for the other two “Golds” to aim for new heights. When Taiwan Tele­vision (TTV) renewed its broadcast rights for the following year’s 25th Golden Melody Awards, it hired veteran producer Isaac Chen’s Young Hope ­Entertainment to organize the show. 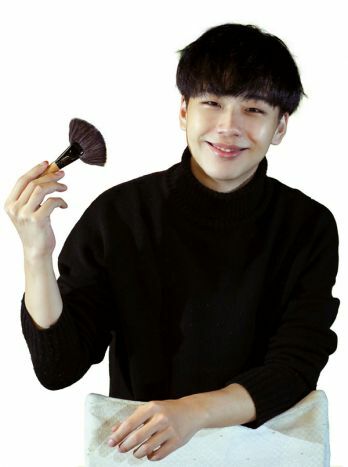 Chen, in turn, brought back former colleague Johnason Lo, the founder of JL Design, to handle the show’s visual design. Upgrades to the 25th anniversary show’s design included adopting the Golden Horses’ use of the event’s iteration in the logo, borrowing an aspect of the Academy Awards presentation format by producing 22 short videos about nominees, and hiring 11 leading graphic designers who were subsequently assigned to 13 motion graphic design teams or individual designers. The changes to the Golden Horse and Golden Melody awards over this two-year span set a new design standard for Taiwan’s awards shows, one that heightened audiences and designers’ expectations for the future. It also caused organizers hoping to meet these expectations to recognize that arranging these shows involved more than simply coordinating an ordinary event. And it isn’t just the designers. 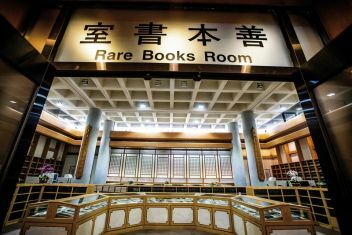 The government would like to use the reputation of the “Golds” to market award-winning works overseas, and has come to recognize that it must treat the awards as brands. This kind of “branding” is similar to establishing a corporate identity system, which creates principles for the use of standard fonts and colors on related items. In the past, awards-show producers often contracted the show’s graphic and motion-­graphic design work to different groups, each of which took its own approach. Branding the shows requires that there be a head of visual design who can unify the various graphics to ensure they achieve maximum impact. Nowadays, multidisciplinary cooperation takes place at both the planning and production levels. 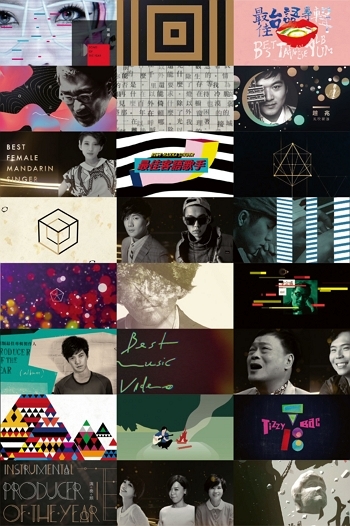 Take Yen Po-chun’s key designs for the 28th Golden Melody Awards, for example. 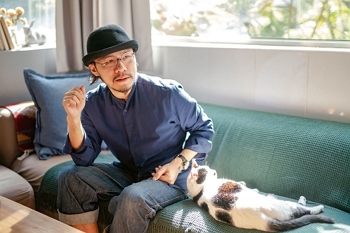 Yen had been designing album covers for more than a decade when he was hired onto the awards program, and wanted to use the project to highlight the rarely noticed creators linking together the entire pop-music production chain. Taking the idea that music endures in spite of the changes in the world around it (that year’s slogan), he hired music-industry fashion designers and photographers to help create the key visual designs and contextualize music through fashion. 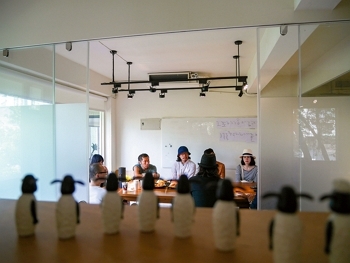 Multidisciplinary discussions are crucial to producing a great awards ceremony. In other words, what ideas are the designers aiming to convey? What questions are they answering? What effect do they want to achieve? The spirit and ideas that the objects embody are more important than the objects themselves. Johnason Lo felt a sense of mission when designing the 25th Golden Melody Awards, perhaps stemming from his position as one of the first people in Taiwan to be involved in the motion graphics industry. Seeking to convey the importance of multidisciplinary co­operation, he integrated the old-fashioned with the cutting edge and motion graphics with 2D design. He also got design­ers from different generations and fields to work together, generously sharing his own decade-plus of know­how with all of them. 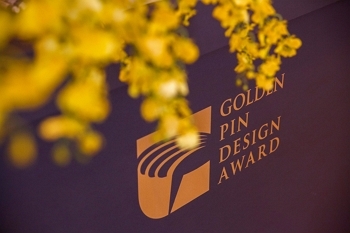 Event design has lifted the design-oriented Golden Pin Awards ceremony to a new level. While these ethnically Chinese design awards, which deliberately emulate international giants like iF and Red Dot, have become the focus of enthusiastic competition among designers, they also have significance for the public at large. Liu explains that Golden-Pin-winning works offer the general public an accessible means of gaining a better understanding of good design.